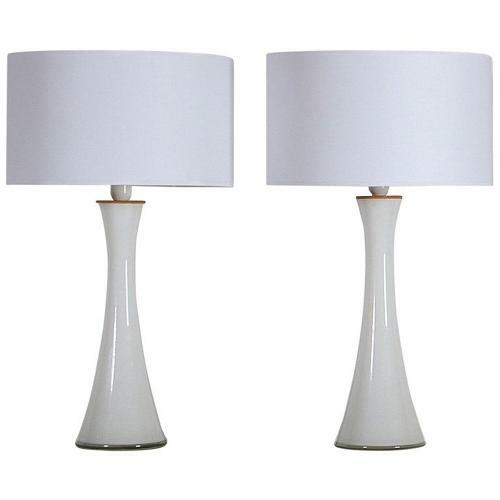 A pair of diabolo shaped table lamps by Bergboms, made of opaline glass with a round teak lid on top and clear glass at the bottom. H 25.99 in. x W 13.78 in. x D 13.78 in.